The Maldives is easily one of the world’s most beautiful destinations, and it is easy to see why many families choose a Maldives family holiday. 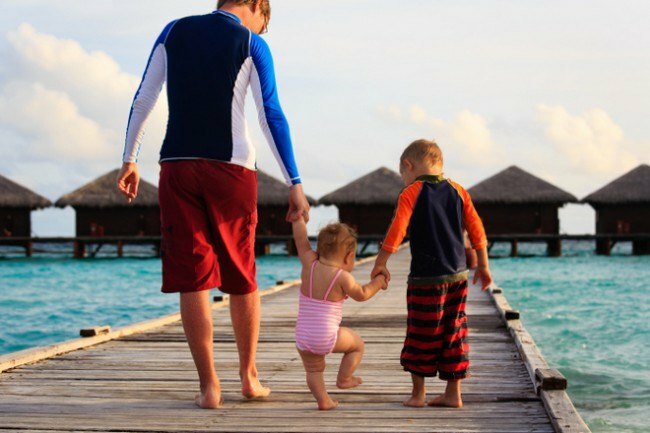 Seeing the Maldives with kids can be one of the most amazing experiences for families, and Maldives resorts for families are plentiful. It is a place where a family can really relax, unwind and enjoy their tranquil surroundings, and with such a selection of Maldives family resorts on offer, there is something to suit everyone. The Kanuhura Resort and Spa is a great choice in the Maldives for families, offering a range of different activities and amenities, accommodation types, eating options and adventures making it one of the best Maldives kid friendly resorts. The best part is that this resort is just reopening after closing for a full renovation meaning that all facilities and rooms are as new. Kanuhura Resort hosts plenty of activities such as scuba diving, tennis, beach volley ball, yoga classes and more so that you always have something to do.The resort has many amenities including a groovy nightclub for the adults, outdoor sports activities for families, and a great range of spa and health facilities that offer many different 5-star treatments. There are ten restaurants and bars scattered around the resort to suit your family’s taste. The Kanuhura Resort and Spa also offers exclusive access to the private island of Jehunuhura where you can experience the serenity and calmness of this private island or eat a meal. There is also a Marine Biology Centre with different activities for every day of the week. The kids will be kept occupied whether they are with you or at the kids’ club. Kanuhura Resort welcomes children aged four to eleven to their kids’ club where there is a large sand filled playground, shallow pool, different activities and pirate games. Children aged two and three year old can join too but must be accompanied by a guardian/babysitter. There is also a teens club for 12-17 year olds which includes sport and recreational activities as well as excursions. The resort’s accommodation features elegant villas that sit on stilts and give you the impression that you are at one with the ocean. Each villa is made with bamboo and has a shaded veranda surrounded in vegetation for privacy, overlooking the ocean. There are many options, including villas over the ocean and villas on land with their own private plunge pool. 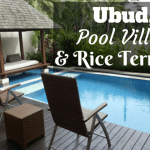 Most villas accommodate 4 with some accommodating up to 8 people. The resort prides itself on its high quality service and strives to offer as much as possible during your stay to make you as comfortable as possible. Click here for the latest prices and more details of the Kanuhura Resort and Spa. A family holiday in the Maldives is of course desirable for many families, but unfortunately, often unaffordable. Jumeirah Vittaveli is proof that family hotels in Maldives with all inclusive luxuries can be within budget for many families. Jumeirah Vittaveli is one of the top picks for families looking for value and big reason why they keep coming back. Surrounded by the best of nature and among other family resorts Maldives offers, a full spa, direct beach access and range of activates all make this a place to have one of the best family holidays Maldives can offer. Airport transfer to this resort is an easy sea shuttle ride on some of the best water. Another offering of this Maldives family resort is that it offers some of the best kids amenities – it is truly the perfect place for Maldives family holidays. The resort has dedicated TV channels for kids, both indoor and outdoor play equipment, games, a kids club and babysitting service making is perfect for families with young kids. The resort has limited dining venues, but the cuisine is diverse enough to suit all. Free snorkeling equipment is also offered by the hotel with various water based activities on offer, although the activities themselves can be expensive. Each room is large with a private pool and offering great value. This is easily one of the best hotels in Maldives for families, and a place where the whole family can enjoy their time together. Click here to see the latest prices and to read more about Jumeirah Vittaveli. Another contender for the best family resort in the Maldives is the beautiful Atmosphere Kanifushi resort. It is situated 30 minutes by seaplane from Male Airport. The resort features stand alone villas separated by tropical vegetation with direct access to the beach and the crystal clear waters beyond. The Atmosphere Kanifushi has some of the largest detached villas in the Maldives for a family that combine both traditional and modern architecture. Surrounded by tall coconut trees, the different accommodation types include Family Villas, Junior Suites and Sunset Pool Villas each offering a different experience. Family Villas are interconnecting and Junior Suites are connected through a living area. Accommodation prices all include an exclusive Platinum PLUS Package that entitles holders to basically everything at the resort – all meals, snacks, drinks (even premium spirits and wines) as well as use of the Kids’ Club, snorkeling sessions, excursions and more. This means that you can have a hassle free holiday without any stress about bills. Best parts: The cultural experiences offered and the Platinum PLUS Package. This is one of the best all inclusive packages I have seen. Click here for the latest prices and more details of the Atmosphere Kanifushi. The Shangri-La is another gorgeous resort to visit in the Maldives with family. It is situated 70 minutes from Male International Airport. The hotel features villas that are built on the beautiful blue waters of the Maldives. There are 3 bars and 3 restaurants, and babysitting is provided for those nights when you require some time to yourself. The villas are designed with Middle Eastern and Indian infused style and each offer the modern comforts and conveniences you would expect. The resort offers an extensive range of accommodation types, from tree top huts to ocean perched villas, each providing a unique and special experience. The two bedroom beach villa’s are great for families, with their own infinity pools. If your kids are older than 12, then we would definitely recommend the tree house villas for incomparable accommodation. The Shangri-La is one of the Maldives most kid friendly resorts. The ‘Cool Zone’ welcomes children aged four to twelve, and provides a range of different facilities such as the Jungle Club where the kids can meet animals and reptiles. There are also a range of games, fitness activities and arts and crafts. For the adults, the resort offers bicycle tracks, car tours and a large golf course to keep you busy. You will also find a full range of spa services to help you further unwind if the white beaches aren’t enough! 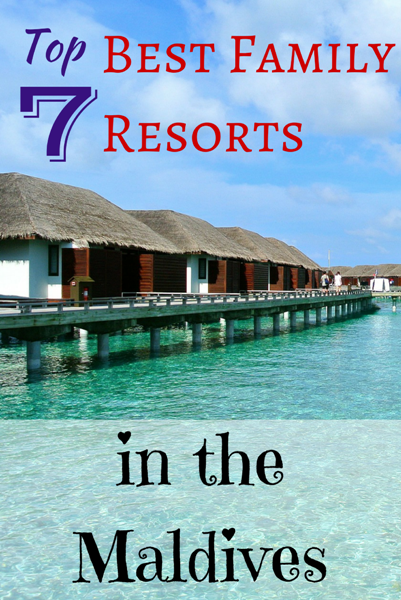 This resort also offers access to 7 different islands for you and your family to explore. 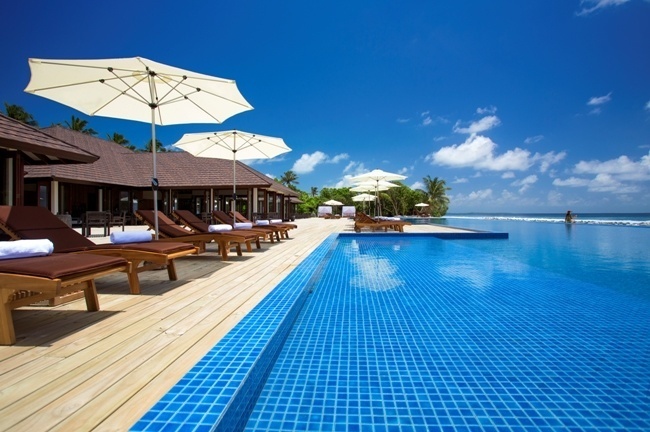 Click here for the latest prices and more details of the Shangri-La’s Villingili Resort and Spa. 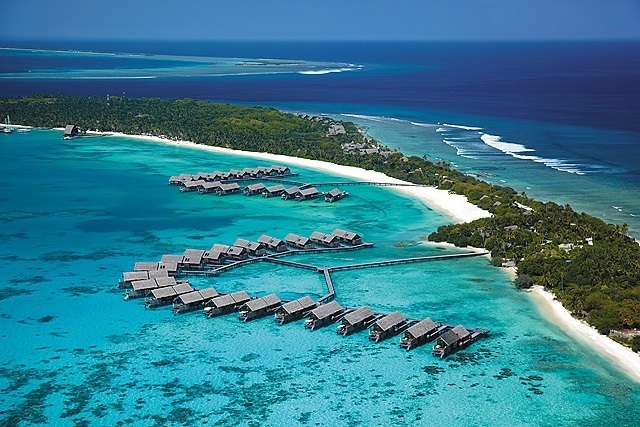 A 35 minute sea plane ride from Male International Airport and you will find yourself at Anantara Kihavah. Positioned on Kihavah Island, here you will find some of the clearest and most exciting water in the Maldives, making this resort the perfect family accommodation Maldives offers for diving. The resorts main attractions certainly are centered around the sea – with snorkeling, canoeing, sailing and diving this is the ultimate water escape, and you will surely make good use of the crystal water. Accommodation in Maldives needs to include food as outside of the resort options are limited, and with 5 dining options onsite including an underwater restaurant you will surely be impressed. 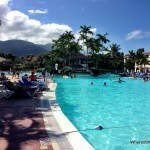 The resort caters to all families with kids, old and young. There is both a kids clubs and cinema and numerous activities for kids so that one thing is sure – you will never hear them say they are bored (if you hear from them at all!). For families with younger kids, this is the best family resort Maldives offering you a night off. You can use the babysitting service to have a private beach or yacht dinner. There are several villa options with private pools, beach access and direct pool access. Rooms even include an espresso machine and wine chillers! Staying at the Anantara Kihavah is a chance for your family to be treated as royalty and will offer an unforgettable experience. Click here to see the latest prices and to read more information for Anantara Kihavah. 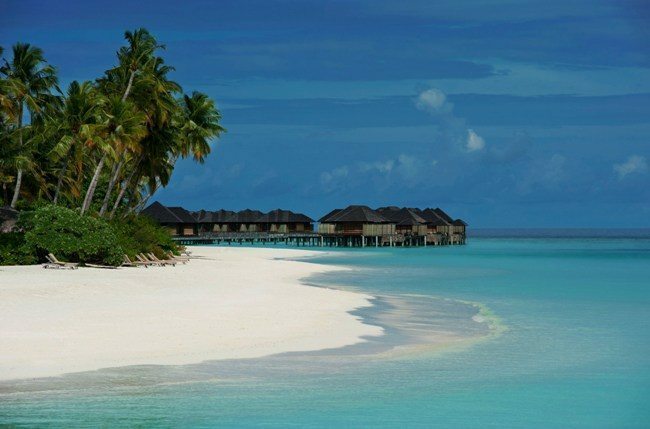 Another of the Maldives family hotels is the Four Seasons. Four Seasons are known for their high quality resorts and the Four Seasons at Landaa Giraavaru is no exception. The resort is scattered around a remote jungle-like island and contains over 100 luxury villas that are truly accommodating and high quality, making the Four Seasons one of the best Maldives family hotels. There is no shortfall on amenities as the Four Seasons including a massive 50 metre pool, spa, 3 bars and 8 restaurants. 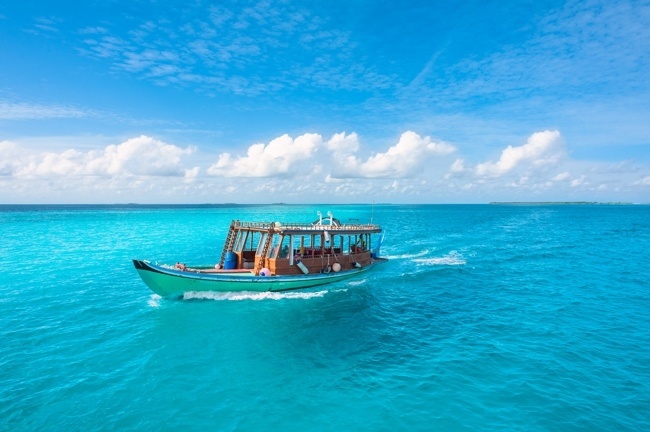 The resort takes advantage of the glorious water around it by offering the Four Seasons Explorer Boat for cruise access to exclusive areas for scuba diving and shared/private cruises around the islands. Being near the waters of the Baa Atoll UNESCO World Biosphere Reserve, it offers some of the best diving experiences in the Maldives. The resort also offers some extreme water sports for older kids and adults, such as wake boarding and jet skiing. There are babysitting services and a kids club for children aged 4-12. Young adults aged between 13-18 can also benefit from an extensive range of activities that are centred around the water. The resort runs a Marine Discovery Centre that is great for kids and adults to learn about science and marine life in the Maldives. The Family Beach Villa is a standout villa for families with young kids, offering its own pool. Otherwise, the Four Seasons offers two and three bedroom villas. Click here for the latest prices and more details of the Four Seasons Resort at Landaa Giraavaru. The Sun Siyam Iru Fushi is one of the best family resorts in the Maldives. 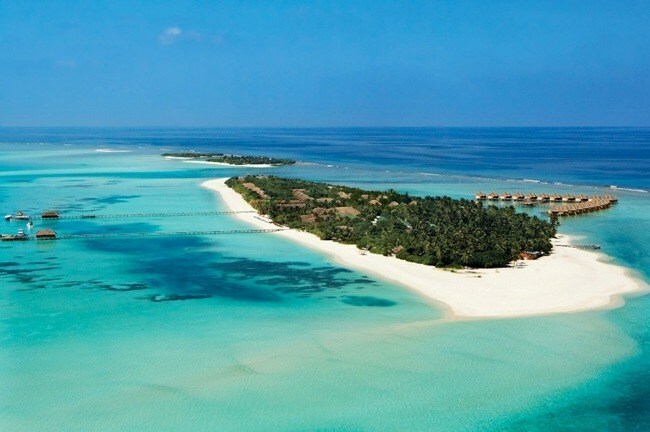 It is set out on a 52-acre island and holds some of the best natural beauty that the Maldives has to offer. It is located 45 minutes away from Male Airport by Seaplane. This resort is ideal for water lovers, with a large main pool which also contains a shallow kids areas, a lap pool, a five star dive centre and a water sports centre. The resort also offers a full gymnasium with tennis and badminton. The resort hosts a range of different accommodation types, and you are sure to find something that will suit your needs. The accommodation is centred on their fabulous villas that open out onto the clear water and white beach. 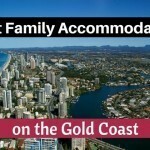 The 3 bedroom celebrity retreats offer great quality for your family. When it is time to eat, you are free to choose from one of the 11 different restaurants that offer a broad dining and drinks menu. For those looking to experience Maldivian culture, this resort offers many options such as the experience to go to a Maldivian school and practice English with the children, a special and enriching experience for both kids and parents. Click here for the latest prices and more details of The Sun Siyam Iru Fushi Maldives. 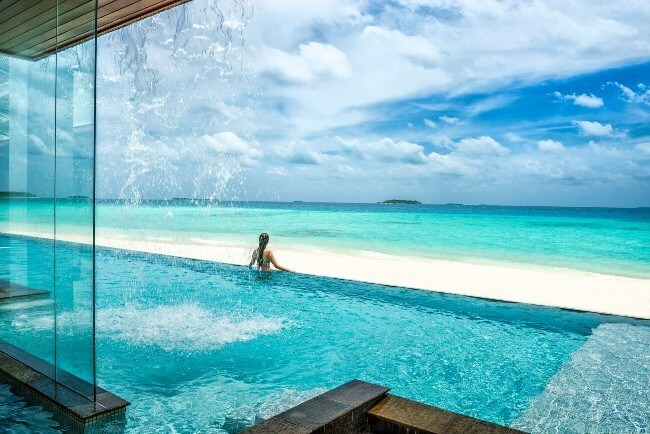 Have you been to the Maldives? What are you best tips? I Think the Jumeira Vittaveli is too exposed to have kids along especially the under 4 kids. If a kid falls over, the deck is too high for them to pull up back. Such a great collection of hotels, thanks for inspiration & sharing! We are very lucky to go back to Makdives this time with the kiddies in December including for a collaboration with Banyan Tree Angsana Velavaru. Very excited and hoping we will manage to see again dolphins and whilst kids enjoy the kidsclub, parents will be diving ?